Today we are going to get into bokeh. I probably should have done this one before the shaped bokeh one. Bokeh is a dramatic sci-fi movie that did not get good reviews (sorry it popped up while searching for the actual definition). Bokeh comes from the Japanese word boke which has multiple meanings such as stupid, unaware, or clueless. It can also mean funny man in a double act comedy. As for photography though it is used in regards to the out of focus area in a photograph. It shows up as bokeh with an "H" to show that it is pronounced bok-ay. It is a lens trait and not the camera. Some lenses produce a nice smooth looking blurred area others not so much. The effect can be seen in movies too, just keep an eye out during dramatic scenes with a limited area of focus. The lights in the background will be a blur but have a shape, octagon, heptagon, hexagon, pentagon, and every once in a while a circle. In a movie it is not as noticeable because of the moving images. Pictures though can be studied and savored so more focus can be placed on it. Below is a series of pictures of a wind spinner with yellow flowers in the background. Going through them we can see that they come into focus but also loose that nice round blurry shape. Lenses and aperture are the creator of bokeh. Wide aperture (f1.8 or less) lenses are more common to have good bokeh. However it depend on the aperture blades too, the number and whether they are curved or not. Here is my 50mm f1.7 Minolta lens aperture. It is open about 1/3 or maybe 1/2 of the way. I am using it to show the blades and how bokeh changes through the range. 7 blade which appear to have a curve. 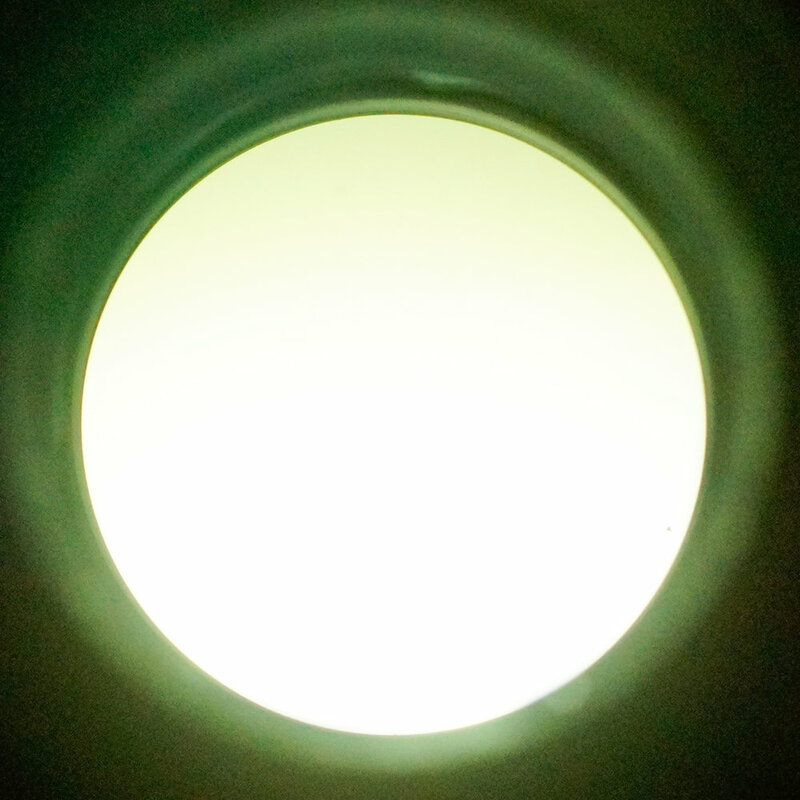 Here we have lenses wide open and back lit with a white translucent cap on them. First is a a Minolta 50mm at f1.7 notice how it looks like a perfect circle. Next is a 70-210 (Beercan) at f4 it still looks round there are a couple of dark spots around the edges which I believe are the corners of the aperture obscuring the light it still has good bokeh. Last is the 75-300 at f5.6 and the 9 aperture blade edges are obvious depending on the subject this could have a visible effect, for most things it would probably be fine. These photos of the aperture were a little rushed, just wanted to get this out today. So grab a large aperture lens then go out and shoot.